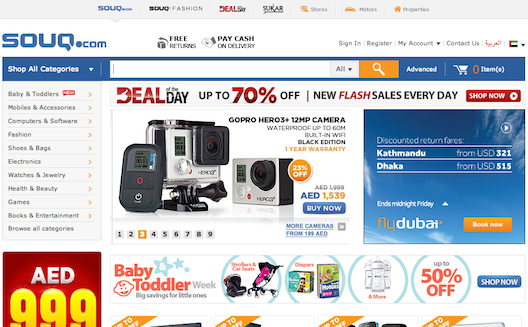 Now in its ninth year, Souq.com is getting some real wind in its sails. 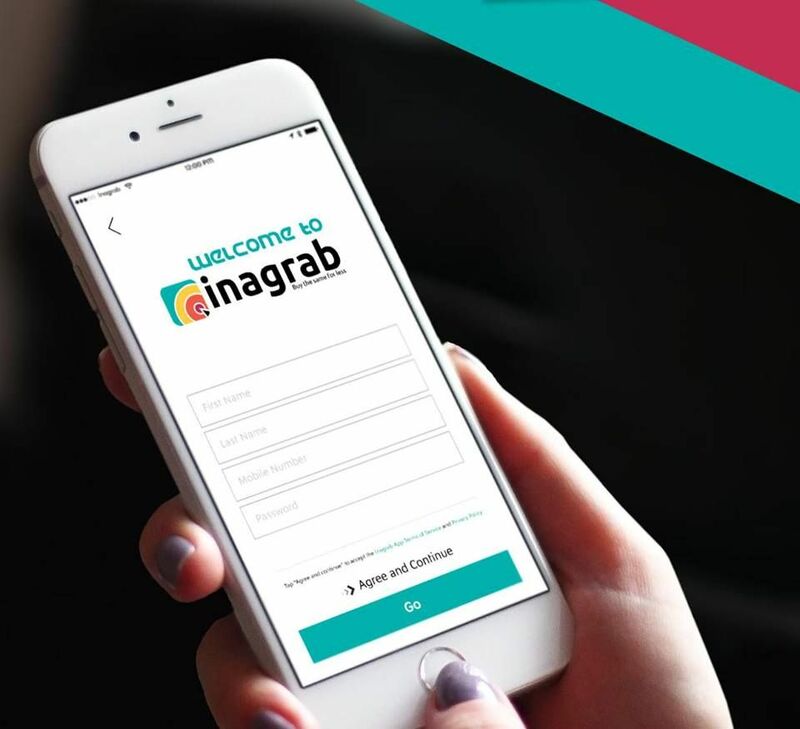 Now undeniably the largest e-commerce platform in the Middle East and North Africa, the company has secured $75 million USD (AED 275.5m) from Naspers Limited, the South African multinational media and internet group that preivously invested $40 milion in Souq in 2012. This brings the total amount of investment raised by Souq.com to $150 million USD (AED 551m) to date, placing it beyond rivals Namshi (which has raised $34 million USD to date) and MarkaVIP (which has raised $18 million USD to date, and is likely due for another round soon). Rumors place Souq's current valuation at over $400 million. Although Souq didn't secure other investors for this round, the move demonstrates that Naspers is betting on the growth of Middle East e-commerce in the long term. Although Souq was founded in 2005, it's hit a growth curve in the past two years, expanding 10 fold, the company says. Today, the site boasts 23 million visits per month on its website, and 6.2 million registered users, with 52% percent of all shoppers in the UAE having shopped on Souq.com. Although around 90% of online transactions in the Middle East and North Africa are still conducted on sites external to the region, according to PayPal, it's clear that Souq hopes to reverse that trend in a market that will reach an estimated $15 billion by 2015. 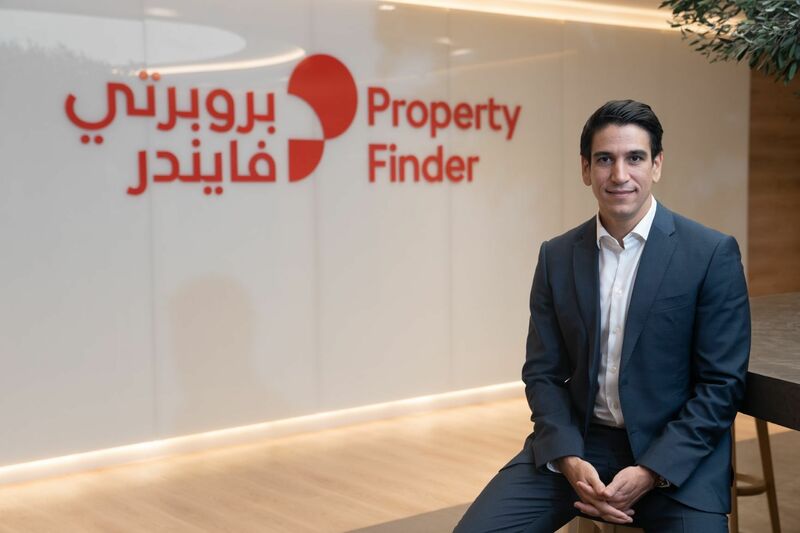 To do so, the company will focus primarily on improving its search functionality and its mobile experience, Souq CTO Wissam Daoud told Wamda last month, when he vaguely shot down those acquisition rumors. "Our entire site is mobile responsive," he told Wamda. By 2014 or 2015, "mobile will become the primary way to shop on Souq.com." Souq CEO Ronaldo Mouchawar confirmed at the time that mobile represents 40% of all purchases on Souq.com, telling Wamda that that percentage could reach 60% next year. UPDATE: In an interview today, Mouchawar confirmed that Souq.com would be investing in its technology, as well as tools for growing its customer base. The company will still invest in its supply chain and logistics, he confirmed, but as it focuses on "more innovative ways to customize the site," it will also unlock new verticals, especially delivering more large items, like televisions and treadmills, which have become easy to transport thanks to its infrastructure, he says. Currently, the site has a 65% repeat customer rate, with customers coming back mostly for perfume, fashion, and baby goods, says Mouchawar. While you'll see a lot of electronics being featured on the mobile site, electronics account for less than 10% of transactions, he asserts. "People are comfortable buying phones," Mouchawar admits, but they're not necessarily what keep customers coming back. When asked if Souq.com is in danger of saturating the UAE market, Mouchawar points out that Saudi Arabia and Egypt are also large markets for the e-commerce site. "Our traffic share from other markets is growing even faster [than it is in Dubai], and we have more customers in Saudi Arabia than in Dubai. Souq.com is a regional platform; that's our main focus," he says. Mouchawar also gives little credence to PayPal's statistic that 90% of purchases made in the Middle East are from companies based abroad, noting that 70-80% of purchases made in the Middle East are paid for with cash-on-delivery (COD), implying that perhaps the remaining 10% refers primarily to purchases made via payment gateways. 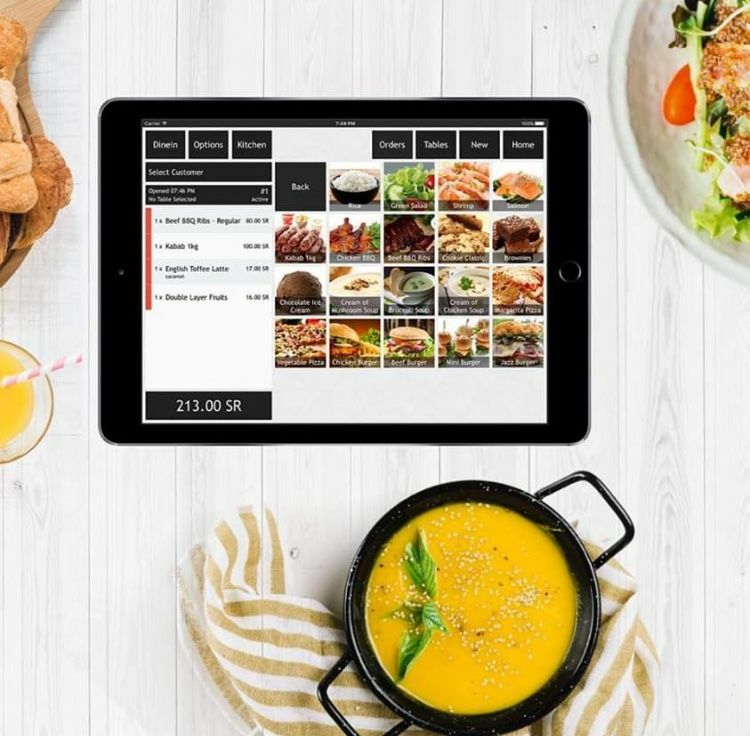 Either way, Souq plans to reverse the trend by focusing on "larger selection, and unprecedented service and customer experience." As of last year, its average basket size, at $312, outpaced Amazon's $293, for in-region shoppers, also according to PayPal. "In many aspects," he notes, "we lag behind the West, but if you look at video consumption and social network usage, [the Middle East] is up there in terms of global usage. We [at Souq.com] are making sure we are at the forefront of the trend." When it comes to celebrating this watershed moment, and maintaining Souq.com at the top of its game, the company's success, Mouchawar emphasizes, is "all about the team."